In his book The 21 Irrefutable Laws of Leadership, John Maxwell explains the Law of Respect with the headline: “People naturally follow leaders stronger than themselves.” Your team wants to follow a leader they respect, but gaining that respect is not always an easy task. Respect is something that must be earned through consistent leadership behavior. Here’s what you need to know about Maxwell’s Law of Respect and how to put it to work for your business. 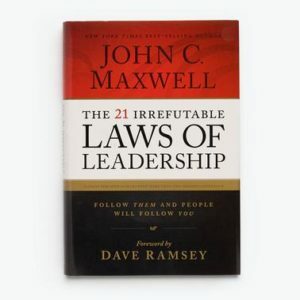 In his chapter on the Law of Respect, John Maxwell sums up his thoughts in one key sentence: “Followers are attracted to people who are better leaders than themselves.” It’s rare that someone would follow a leader they do not respect and can easily outperform. It’s easier than you might think to determine whether you’re respected as a leader. Maxwell suggests that the best way is to look at the caliber of people you attract. If you’re surrounded by a team of strong, capable leaders, chances are you are one yourself. However, if your team is largely incompetent, you might have some introspective work to do. You can also gauge your level of respect by seeing how many of your employees are willing to volunteer when you ask for a commitment. If they respect you, they’ll be willing to go above and beyond because they believe in your mission and your intuition. If you want to make the Law of Respect work for your business, you need to first determine whether your employees respect you or not. Maxwell recommends thinking back to a time you asked employees for volunteers. How ready and willing were they to sign up? If your team rallies to you when you ask, it’s a good indication of how they see you as a leader. Evaluate yourself in all six of the main leadership areas: natural leadership ability, respect for others, courage, success, loyalty, and value added to others. Rate yourself from 1 to 10 in each area. Be honest with yourself and own up to the skills you might not have. For each quality you find yourself lacking, spend one month accomplishing tasks that will help you enhance this aspect of your leadership. For example, to develop your courage you might spend a month stepping outside of your comfort zone, while your month on success might entail re-defining what success means to you and what you can do to achieve it. Maxwell also writes that if the people closest to him see him as a leader, he thinks of himself as a success. This step is tough, but worth it: ask your family and friends what they respect most about you, and in what areas you most need to improve. Use this feedback to help yourself grow in a positive direction. Respect must be earned. 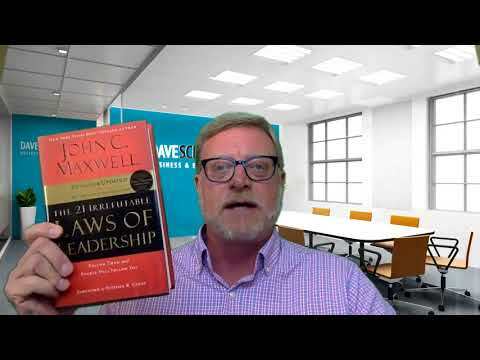 If you feel that you’re falling short as a leader, fill out my contact form and let’s meet on a video call about how you can use Maxwell’s laws to improve your leadership style.